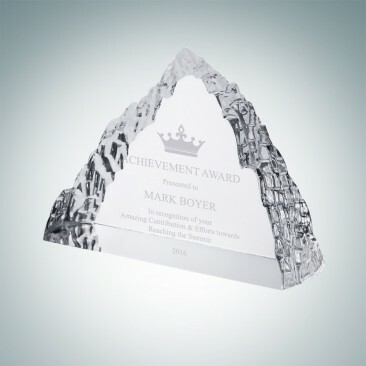 This beveled bent jade glass features a mountain peak for free standing display. 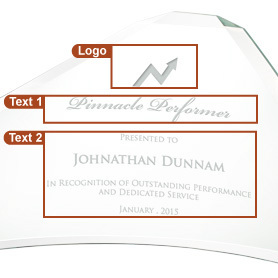 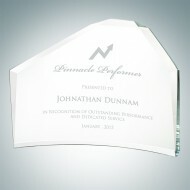 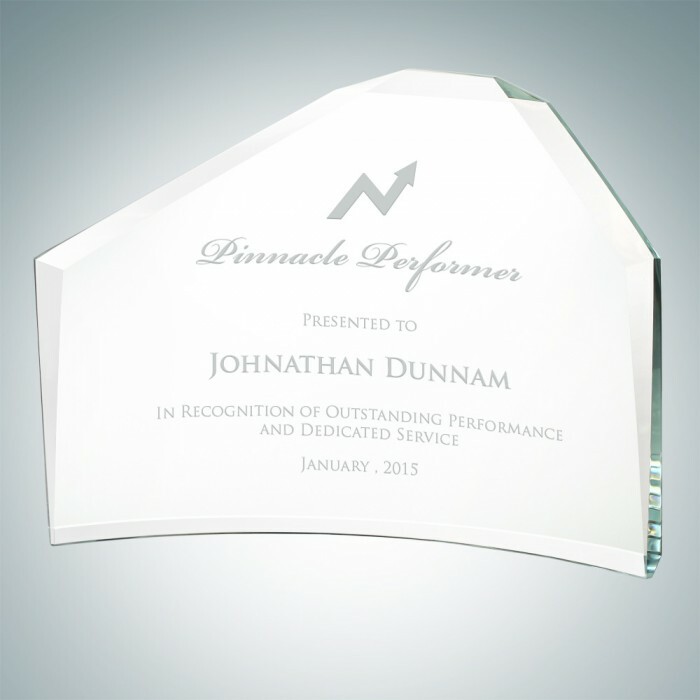 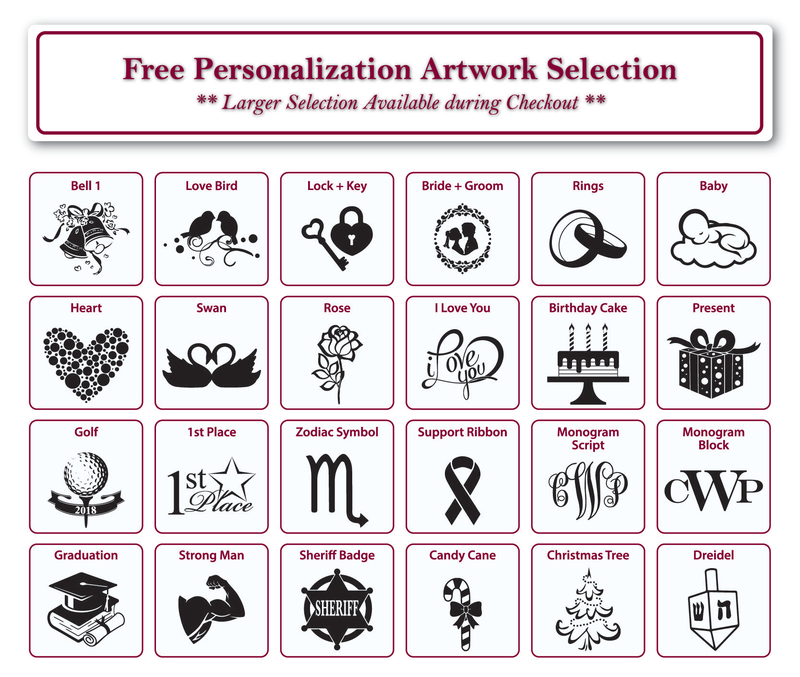 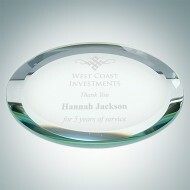 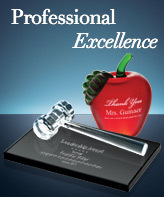 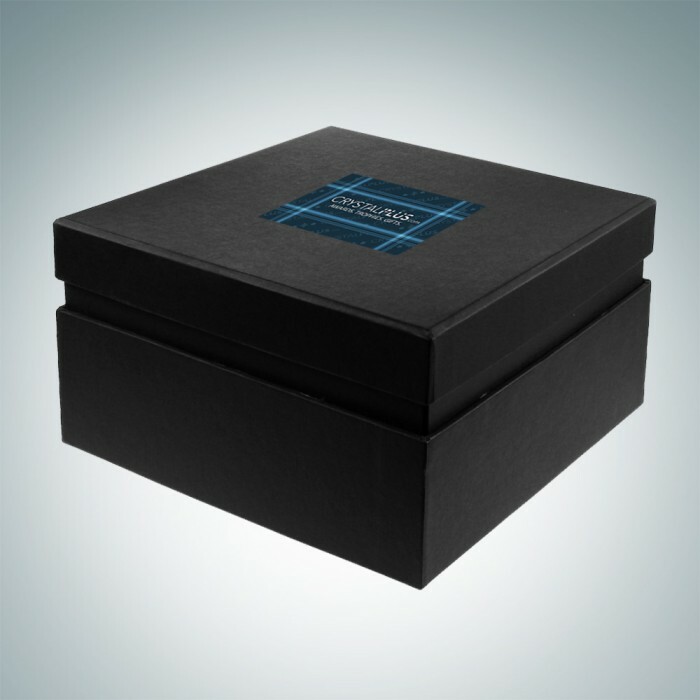 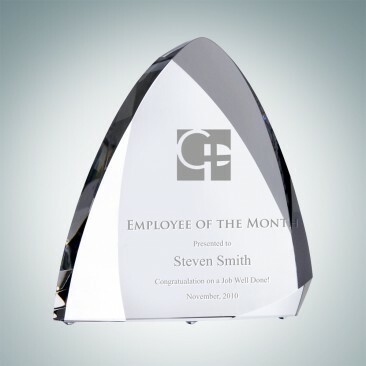 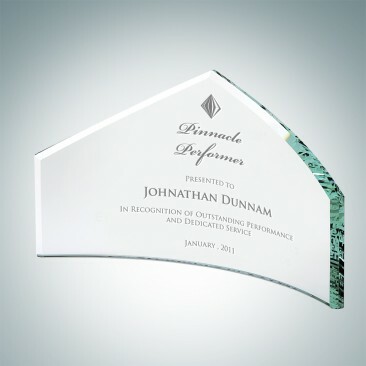 With a logo and recognition quote engraved, this award is perfect to recognize those who have triumphed over tribulations and reached a significant goal; ideal for Service Awards, Sales Achievement Awards and any recognition occasions. 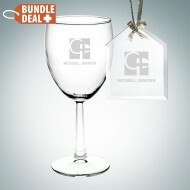 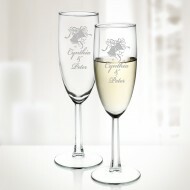 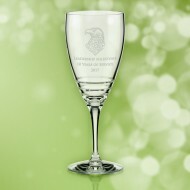 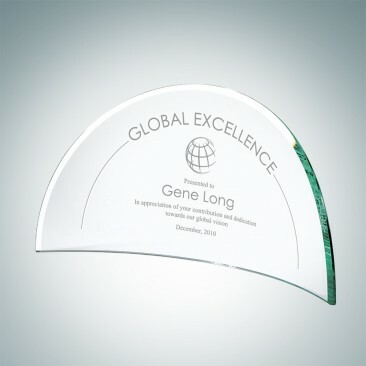 The light green pigmentation on these beautiful yet economical glass awards is caused by its iron ore content. 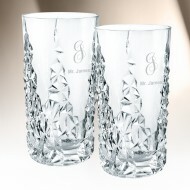 Each piece is hand polished and beveled to achieve its sparkling edge and delicate facets that bring out the beauty. 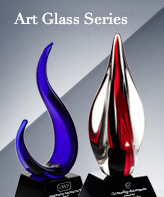 The jade coloring is only available in glass awards. 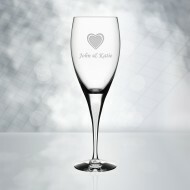 The raw material for Jade glass sheets available only in 5/8", 1/2", 3/8" and 3/16" thickness.